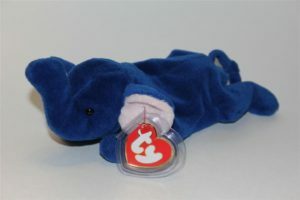 Beanie Babies price guide for ones beginning with letter ‘P’. 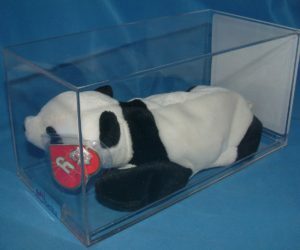 One of the most common Beanie Babies is the Princess Diana Bear. Keep in mind, a portion of the original sales went to charity, so it’s not like they were trying to make them limited. 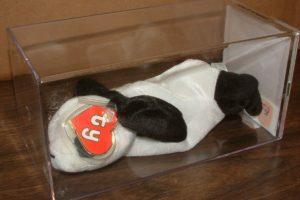 There are well over 20 million Princess Beanie Babies in existence. Most PRINCESS BEARS ARE ONLY WORTH $1-10 ON THEIR BEST DAY. I typically buy Princess Bears locally for $1-2. 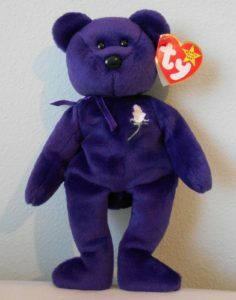 Many counterfeit versions of the Princess Bear exists. VERY misleading article from the Daily Mail UK. A couple bought a Princess Bear for $15, thinking it was worth tens of thousands. They actually got ripped off paying $15 for it. 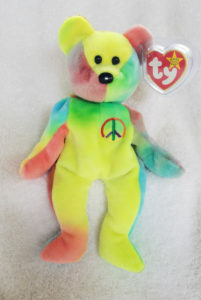 Some Peace Bears can sell for more if they have a unique color scheme that someone likes. Most tend to sell in the $5 range.